Sometimes, you want horizontal button bars. 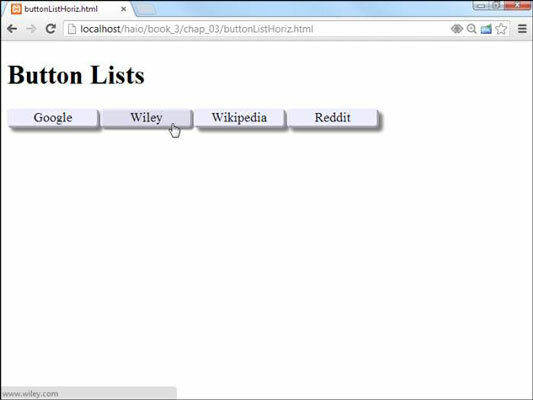 Because HTML5 lists tend to be vertical, you might be tempted to think that a horizontal list is impossible. In fact, CSS3 provides all you need to convert exactly the same HTML to a horizontal list.